Suffering from birthday speech brain freeze? Don't know where to start? If you need professional speechwriting tips, samples or services, you've come to the right place. I've written hundreds of speeches, so I have many insider tips and samples to offer you. To get started, take a look at my speechwriting tips below or check out some speech samples right here. Because your loved one's birthday celebration is important enough to call for a speech from you, it's not enough to just get it right — you need to make yours epic. Generally, tell your audience all about the birthday girl or boy (basically, his or her incredible qualities). Specifically, mention the past, personality, talents, hobbies and/or family of the birthday boy or girl (in a positive light). Express gratitude for what the birthday boy or girl has done for you (personally), family, friends and co-workers (if relevant). Finish off by congratulating the birthday girl or boy and wishing him/her health, happiness, love, prosperity, you name it (whatever positive birthday wish he or she truly deserves to hear). At the very end of your speech, invite everyone in the room to raise a glass and make a toast to the birthday boy or girl. Find out who's invited to the birthday celebration. Only family? Family and friends? Co-workers? Tailor your speech to give your audience (family, family and friends or just co-workers) exactly what you think they want, need and/or expect to hear. For example, if your audience is mostly made up of family and friends, get a little personal with your birthday speech. Project a presentation style and personality that fits your audience. Generally, your tone should be light-hearted, funny, sincere, congratulatory and upbeat. You can be humorous (i.e. tease the birthday boy or girl) but, as I mentioned above, be playful, not mean-spirited. Don't use any obscene language, unless the audience calls for it (again, know your room). Never delve into any sensitive subject areas, like alcoholism (this will just turn the birthday celebration into a nightmare). If you're making an informal speech, make your birthday speech at least three minutes in length (the gold standard). Make your birthday speech longer than three minutes (but no longer than six or seven minutes) when it's for a major milestone birthday (40th, 50th, 60th, 70th, 80th, 90th or 100th birthday). Generally, use the KISS (Keep it Short and Simple) rule. The shorter the speech, the more memorable it will be. 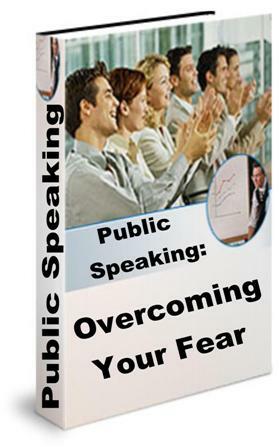 Preparation and practice will help you overcome a chunk of your public speaking fears. Practice your speech until you can deliver it easily (until you have all the phrasing, pauses and timing exactly right). How long should you practice? That depends on you. But the rule of thumb is as follows: for every four minutes,you should practice four hours. Practice delivering the speech in front of a friend or family member you trust (this is one of the best ways to overcome stage fright). For more tips on calming your nerves before making a speech, take a moment to read this lifehacker.com article. Scan the audience slowly (not too slow) and look at the birthday boy or girl as you speak. Basically, maintain eye contact with the birthday girl or boy and look just over the heads of the audience. Use your normal voice to deliver your speech (let the mic or the room's acoustics do the rest). Write your speech on numbered index cards, which are so much easier to handle as you speak. To round out your speechwriting knowledge, check out 10 tips from Forbes magazine. To see my speechwriting tips in action, take a moment to look at my custom-written speech samples. Use the 25 questions below to write your speech. Try to answer each one. The more you answer, the better your speech will be. What age will he or she be turning? Do you want the age of the birthday girl or boy mentioned in the speech? What type of speech would you like to write? Age-specific? Funny? Sentimental? Cute? Inspirational? Clever? Romantic? Cool? Cheerful? What do you want to basically say to the birthday boy or girl? Who are the parents of the birthday boy or girl? Who are the sisters or brothers of the birthday boy or girl? What other special relationships does the birthday boy or girl have (worthy of mentioning or a good story)? How have these people added to his/her life? Who are the children (oldest to youngest) of the birthday boy or girl? What other major events occurred on his or her birthday? What songs were popular when the birthday boy or girl was born? Were there any extraordinary circumstances surrounding the birth? What is the education of the birthday boy or girl? Any good school stories? What is the work history of the birthday boy or girl? Any good work stories? What core values does the birthday girl or boy have? How does the birthday boy or girl demonstrate these values every day? What are the hobbies and/or interests of the birthday boy or girl? Any good hobby stories? Physical appearance of the birthday boy or girl? Only focus on good qualities. What is his or her personality? Any good personality-related stories? What is his or her idea of fun? Does he or she have any talents or skills worth mentioning? Does he or she like to travel? Where? Any good travel stories to add to your speech? What are her or his favorite colors, animals and foods? What does the future hold for him or her? What are the goals or dreams of the birthday boy or girl? Has she or he accomplished any of his/her goals or dreams yet? I've used these questions over and over again to write speeches for milestone birthdays, for birthday boys and girls turning 30 to 100 years old. See speech samples of mine right now.